If you're looking for a premium sedan with some style, the S60's sculpted hood, trunk and aggressive wheel and tire packages give it a much bolder look than its understated German and Japanese rivals. The S60 is also a bit wider than most of its competitors, which translates into generous shoulder room. 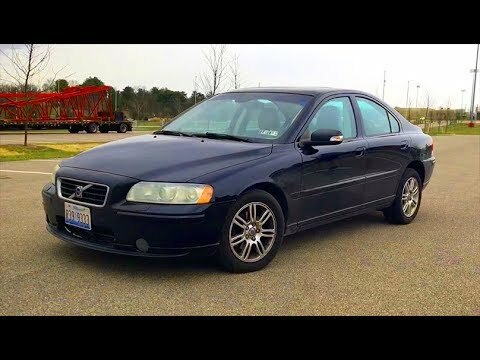 The 2007 Volvo s60: great car, but will you be able to find it in a snowstorm? I recently purchased my Volvo. It seems to be a very reliable and safe car. It is also very comfortable with heated leather seats in the front. I also like the radio feature that it gives you the name of the song that is playing. The key is unique; the key fits into the remote so it is easier to carry. The exterior lights are also very bright and make me easier to see at night than other vehicles I have driven in the past. However, two items about my Volvo concern me. First of all, I find the car sits very low to the ground. I hear that this vehicle is very good in all types of weather, however I am worried that I will have trouble opening the door in a major snowstorm! The second issue that I have heard of concerning Volvos is that maintenance and repairs can be quite expensive. I know this vehicle is very reliable and can last many years, but that is a big concern for me. My Volvo s60 is great on gas 5-cylinder turbo engine that purrs like a kitten. I love my vehicle my Volvo is comfortable if you can adjust the seating and make it heat it you do not care too much for is the maintenance is very high maintenance minds me of a woman so to speak but it is safety is wonderful I would not change that part of the car for anything in the world I am so roomy very roomy lots of legroom. Volvo is for life if maintained well. Volvo’s are incredibly reliable if maintained properly. The Volvo computer systems is great at keeping owners up-to-date with what’s happening to the vehicle. The biggest issue is the premium fuel required, especially with rising fuel costs. However, my Volvo gets an average of 27. 5 mpg in the city so it is not too painful!